Did you make this ? Home made camp lamp with candleholders SOLD. 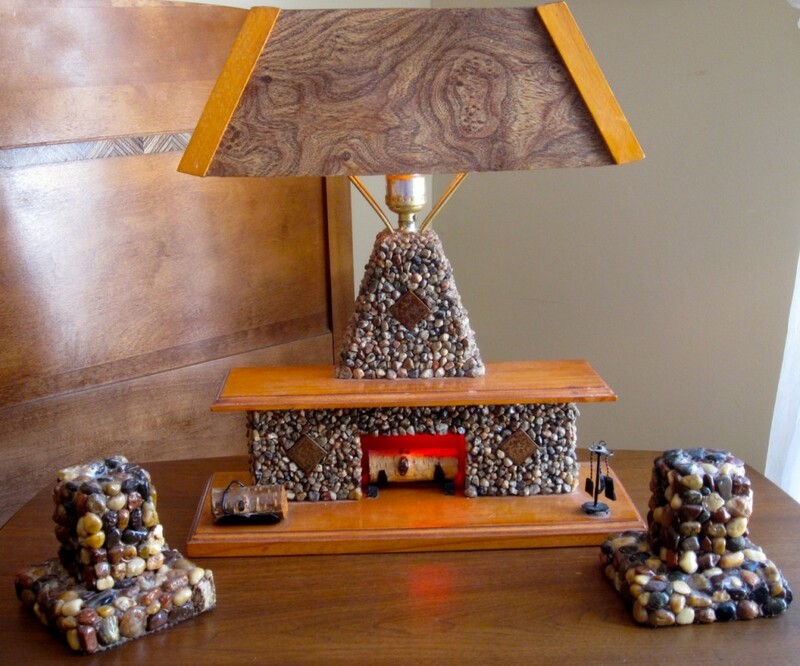 Jane and I would love to find the siblings who made this lamp for “Mum and Mike”. Made by Calvin, Marion and Gerald Cochrane. March 8/78. For Mum and Mike. The fireplace lights up and the little fireplace tools are too cute. These three did a great job. Jane and I have made up a whole story about this lamp! They must have used the panelling from the basement rec. room renovation. And I would say that Mike is the stepfather, though Jane thinks perhaps a younger sibling. Wouldn’t we love for Marion, Calvin or Gerald to come in the store and tell us the real story!